An amazing centrepiece and exceptionally eye-catching design, this unique designer fireplaces in wonderfully engineered and conceived. Seemingly a flue less fireplace, the flue for extraction of the burnt gases runs through the arching hood and then runs under ground to the outside with the aid of an extraction system. By not having a flue/chimney, the area above the fireplace remains completely open and unobscured. 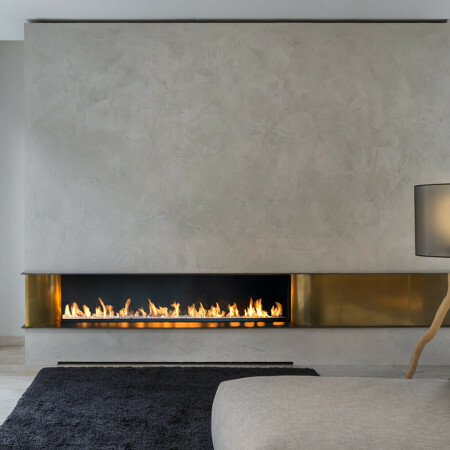 This bold designer fireplaces would be fantastic in a large open space to form a stunning focal feature. The base here is made from carrara marble and the entire design can be customised in terms of size, style and finish. Speak to a Design Consultant for further technical information about this design.